Every time I go to post a how to post I have to remind myself: someone, somewhere, truly doesn’t know how to cook this/do this/how long to roast this. 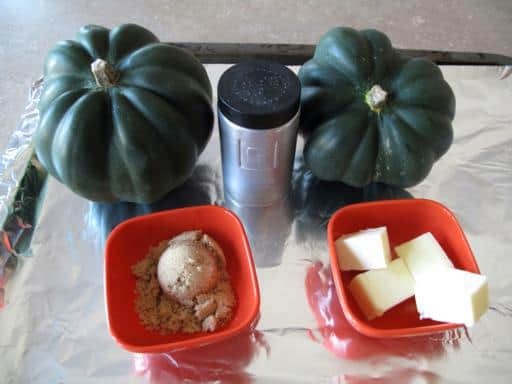 So here’s step by step, how to cook acorn squash. Fall is here and acorn squash are cheap and abundant – and they are truly delicious! It may seem redundant to a lot of people reading this blog, but we all had to learn somehow. So every time I go over a basic recipe or kitchen task, I am going to try and post it more. 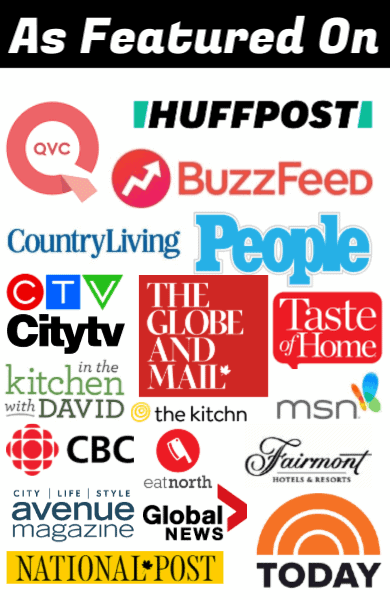 I know there are a few university kids reading my blog (other than the obvious ones I work with) and projects reminded me that there are so many people learning still, so many younger adults yearning for more knowledge in the kitchen. And hey, I can’t count the times I google things myself, but that’s just old age and a lack of memory kicking in. So the other night I made acorn squash. It doesn’t get easier than this, cheaper, or a better way to sneak in a large serving of vegetables. The total cost at Superstore was about $1.45 a squash, each one serving two people. Two! If my math serves me correctly, that makes each serving about 73 cents. A very hearty serving, I might add. You hear that, university kids? Seventy three cents. Split with a roomie. You also need nothing but a little butter, salt and brown sugar if you want. Mike decided he liked his plain with butter and salt rather than brown sugar. No one needs to guess which one my sweet tooth prefers. Or my son. He ate two halves by himself, since my brother “doesn’t like squash”. Kick the tires and light the fires to 350 degrees. Using a nice sharp knive, cleave those squash in half. Clean out the seeds and stringy bits, so that it’s beautifully clean, like this. 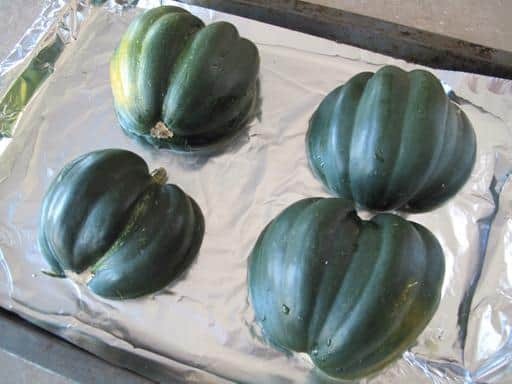 Place cut side down on a baking sheet lined with tinfoil, then add enough water so that it slightly covers the sides of the squash. 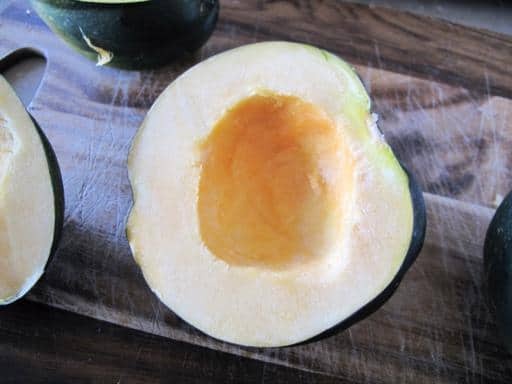 You can also cook these facing up, but I find this way you end up with amazingly soft squash that hasn’t dried out in places or burnt in others. It cooks them uniformly. Bake at 350 for 35-40 minutes, until they are soft. Remove them baking sheet from the oven and place on top of the stove. Turn on the broiler in your oven. Take your butter and place in the center of each. If you are going for sweet, add the brown sugar. Sprinkle with salt. 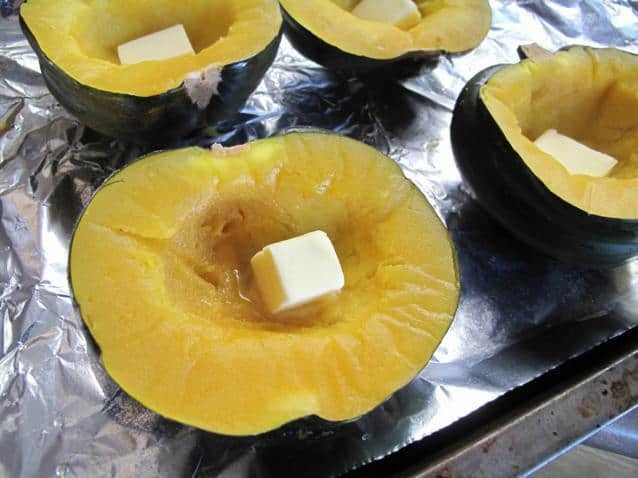 Return to the oven and broil for about 5 minutes, melting the butter/sugar, browning the edges slightly and you end up with a lovely, soft bowl of squash with a pool of sugary butter that you can eat with a spoon.Almost as good as dessert and you get about 2 servings of vegetables in. 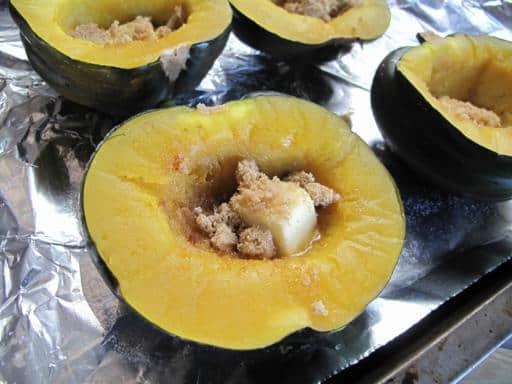 If you want a really unique acorn squash recipe try my Acorn Squash Pie! It is really fantastic and a great change from pumpkin! Happy cooking you guys! I hope this recipe helps you all out, learning how to cook acorn squash is really easy AND delicious! 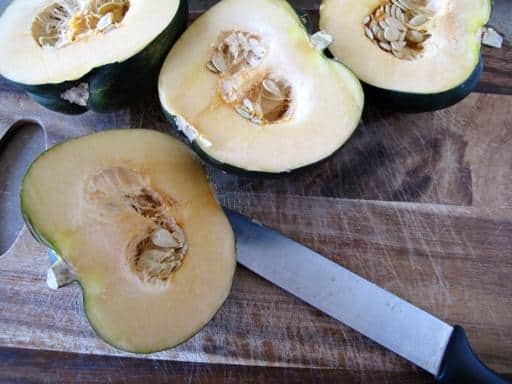 How to clean, cut, prepare and cook acorn squash in the oven with a delicious sweet and buttery recipe as well! This is our favourite way to cook squash. Using a nice sharp knive, cleave that squash in half. Clean out the seeds and stringy bits, so that it's beautifully clean. Place cut side down on a baking sheet lined with tinfoil, then add enough water so that it slightly covers the sides of the squash. You can also cook these facing up, but I find this way you end up with amazingly soft squash that hasn't dried out in places or burnt in others. It cooks them uniformly. Bake at 350 degrees for 35-40 minutes, until they are soft. Remove the baking sheet from the oven and place on top of the stove. Turn on the broiler in your oven. Take your butter and place in the center of each. If you are going for sweet, add the brown sugar. Sprinkle with salt. Return to the oven and broil for about 5 minutes, melting the butter/sugar, browning the edges slightly and you end up with this: a lovely, soft bowl of squash with a pool of sugary butter that you can eat with a spoon. Almost as good as dessert and you get about 2 servings of vegetables in. You can skip the sugar and only use butter if you like with this recipe! Made this tonight, turned out great! I am a grandmother but I live with and take care of my mother. I’ve never gotten into cooking but I can if it’s way simple easy stuff. I more than appreciate your knowledge and help. Double thanks for detailing everything because I am an older learning cook that without your details I would pull my hair out. The only thing I would add, especially since you have young readers, is to absolutely always, every single time, WASH anything you cut before you do anything else. Thank you K- I made my acorn squash tonight using your recipe. I’m 52 and been doing it wrong all these years ? ?. This is EXACTLY what I needed. Thank you for being so detailed, it’s appreciated. i could eat this all day !!! @DrCrankenstein That website that I linked to is sadly down (a trademark issue) and actually butter in moderation is very good for you. Butter Contains a Lot of Healthy Saturated Fats. Butter is Rich in Conjugated Linoleic Acid. And a little sugar to get the vegetables down never hurt anyone! 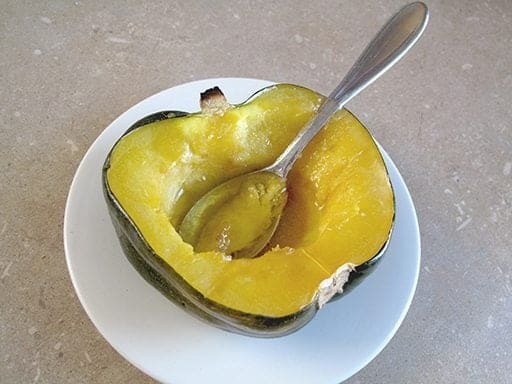 One helpful step I find missing in many acorn squash recipes is to take a slice off each side of the squash so that when its turned over round side down it wont roll around. But at the end of the day this is one great way to get those hard to feed kids (even older kids) to eat their veggies. So easy even I can do it!! Thank you!! Hey, I just wanted to say that I am one of those uni students who can kinda cook but really doesn’t know the half of it. I just got married to a great guy who can cook and loves to, but there are foods he doesn’t like and nights he isn’t around for dinner. I have loved squash forever. I can remember my mum making it once or twice a month (a bit of a treat) and I adored it. So, naturally, when I saw it in the grocery store after not having any for a long while, the craving kicked in. I eagerly selected the one I liked the look of best and payed for it without giving it a second thought… Only to get home and realize I actually don’t know how to cook one and Mr Man doesn’t like squash. Boo. I do know you have to roast it… somehow… but have no clue as to the actual process and steps required to successfully roast, well anything, but specifically squash. The long and short of all this is Thank you! GillianSullivan Awesome! You are so very welcome! @Cate Robinson &lt;3 Aw thanks! 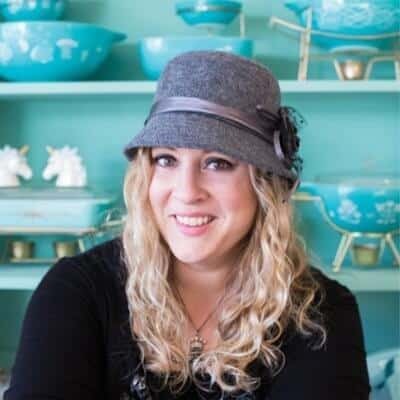 I am so glad that you found my site! Thank you for the amazing step by step and the pictures. It was amazing and will place this new found treat in my everyday life. We finish ours with a cinnamon & sugar mix. Since I follow low carb, substitueing sweetener keeps it healthy at 10 carbs per half. Thanks for the info, I’m married 58 yes and never cooked an acorn squash .Someone dropped one off so here I go . Never too old or late to try something new. Will check on you again. Thanks for this recipe. Here’s another one …. I like to cut them sideways, instead of stem to stern. That way you get a beautiful flower-like presentation. My Dad’s Pennsylvania Dutch recipe calls for cooking them upright, having filled the middle with a sprinkling of salt and pepper, a small dab of butter, and then topping up with real cream. Bake for 45 minutes. When you serve, put it on a small plate that can fit beside the dinner plate, and you can dip forkfuls of squash in the cream mixture for added YUMMY. I’m using this recipe right now! Acorn squash is in the oven with 4 minutes left and I can’t wait to try it! I’m a newly wed 24 year-old so anything easy, cheap, and simple is my kind of recipe! (which is why I chose this recipe over the other ones online) Thank you! “Kick the tires and light the fires“ quote, hilarious! SteveMancini 🙂 glad you liked it! Welcome to the site! That is aircraft lingo for pre-flight check. You can also use maple syrup instead of brown sugar! Thank you for the helpful post. I consider myself an average baker but there are so many basic things I still need to learn! So good to hear! I love comments like these, they make my day Kelly! I had never cooked nor eaten acorn squash before but bought them at the market b/c they were cheap! I googled and found this recipe and made it for my family exactly as you’ve described and it was outstanding!! I am so excited to make it again! Thank you for your ‘back to basics’ instructions! There ARE people out there who have never done these things! Thank you! Glad you had success Julie!! Thank you so much! My first success with acorn squash after 2 previous fails! I needed acorn squash purée today, so I followed your baking instructions exactly except for the broiling step. I scooped out the inside easily after cooking. When I knew I had enough, I scooped out the rest and ate it straight up! I didn’t think there was any chance of it being tasty without seasoning. I will be saving this and making the full recipe for friends. Very delicious! We made this recipe tonight. Great idea to add the water to the baking sheet. For an extra dose of delicious, add a little real maple syrup into the mix. You won’t regret it. Maybe when you don’t cut the squash in half already one might pierce holes in it, but piercing it just lets MORE moisture out, we’re trying to keep it in, with the pan of water. This cooks up perfectly. Most people pierce the body of the squash first. @bakeyb, that I believe is done if the squash is whole to let steam escape. If they are ‘cleaved’ it is not necessary….and would lead to your fabulous squash bowl leaking. Looks delicious! I love squash.